Is your wireless network connection on Android slower than other phones or just keeps disconnecting? Here’s a detailed guide on how to fix Android W-Fi issues, along with some useful Wi-Fi fix Android apps. Owing to the miniaturization of technology, we can today enjoy the latest quality hardware and connectivity on devices as small as our smartphones. Although Wi-Fi itself has been revolutionary in helping us connect to the World Wide Web without being chained down by the cord, it has been even more liberating for mobile devices to enjoy wireless network connectivity at high speeds anywhere. However, even the most finely tuned machine can falter every once in a while, you might end up facing the issue of Wi-Fi not working on Android as well. Whether you’re having trouble connecting to a certain wireless network, suffering from constant network connection drops, or just not getting the optimal internet speed on your Android device, you’ll need more than one Wi-Fi fix to get you back on track. Regardless of what Android device you use or the Android version of your device, you might have to try out more than just one method to fix Wi-Fi on your phone. To save you the time of sifting through the internet for a possible solution, here’s a detailed guide on the most common problems users face when using Wi-Fi on Android and how to fix them. 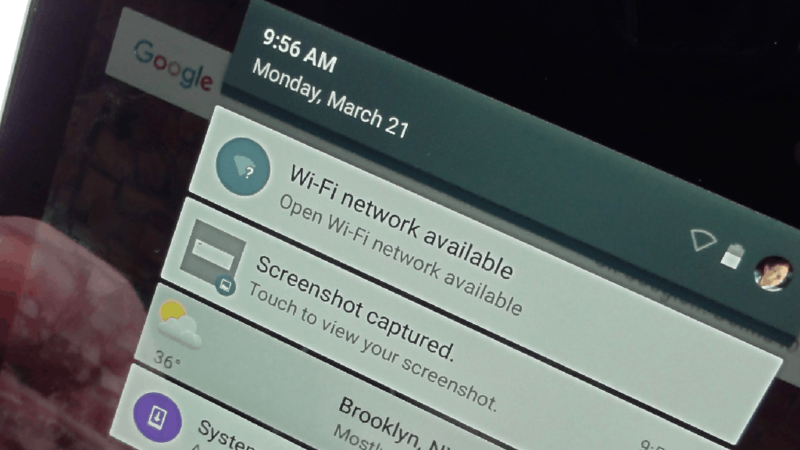 One of the first issues related to Wi-Fi that Android users face is the inability to find the wireless network they wish to connect to on the device menu. Before you get too worried about what’s wrong with your phone, you need to see if the issue is persistent on other devices or not. Obviously, there could also be a direct problem with the wireless router itself, so make sure you have that end sorted out before you investigate any further. Unless you’re a tech geek who knows about dual-band frequency on which Wi-Fi operates, which is 2.4GHz and the modern 5GHz frequency standard. Since most of the modern routers operate at dual-band frequency, the automatic settings could be causing the problems. Start off by configuring your device to operate on a single frequency rather than switching between the two. Head over to Settings->Wireless & Network, tap on the menu icon and select “Advanced” or “Advanced Wi-Fi” depending on your phone model. 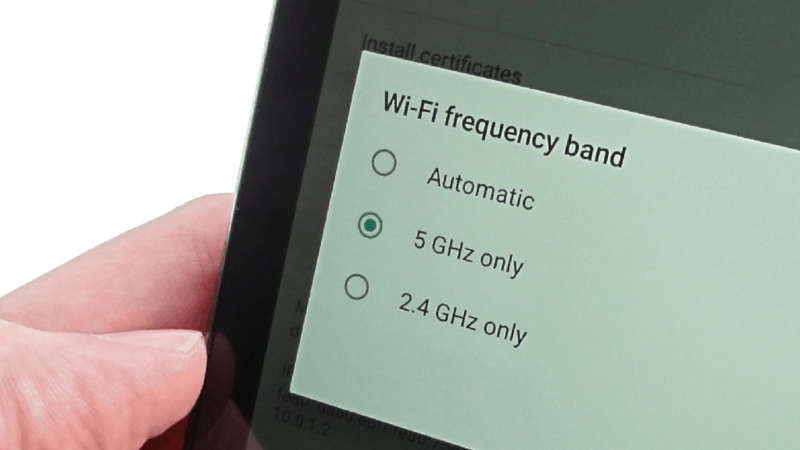 You should then be able to see the “Wi-Fi frequency band” option, so tap on it and set it to either 2.4GHz or 5GHz (if your router supports it). To protect their local wireless network or to keep their network password-free yet hidden from the public, the SSID (name of the network) can be hidden. If you are trying to connect to one such network, you won’t be able to see the wireless network pop up on the list, so you will need to add the network to your Android device manually. Once you have the network credentials, head over to Settings->Wireless & Network and tap on “Add Network”. Using the pop-up screen, insert the SSID and password of the hidden wireless network and tap on “Save” to confirm. With the right credentials entered, you will be able to successfully apply the Wi-Fi fix and connect to the hidden wireless network. For those who aren’t familiar with the IT mumbo-jumbo, ad-hoc networks are similar to wireless networks, but they aren’t set up using a Wi-Fi router. 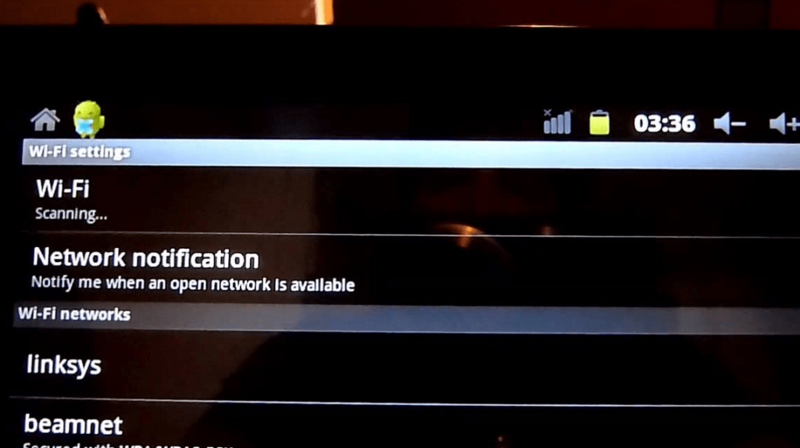 While you can easily set up an ad-hoc network using the Wi-Fi chipset on your computer, it is not identified by Android as a wireless network since the operating system does not support connections to ad-hoc networks. The first solution to this issue is as simple is getting yourself a Wi-Fi router and setting it up as usual to work your Android. 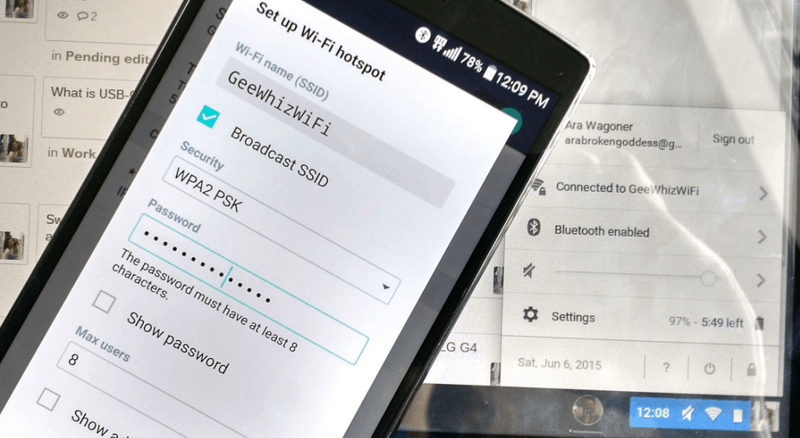 While the second method may help you connect to an ad-hoc network with your Android device, it requires you to root your Android device and edit the system, particularly the “wpa_supplicant” file to get an unofficial Wi-Fi fix. Even if you have been tremendously lucky in always being able to connect to Wi-Fi networks, there’s no way you haven’t encountered a slow or unresponsive internet connection on your device ever. While in most cases it is your internet service provider to blame for the slow Wi-Fi on Android, there can be a few other reasons behind those distorted video calls and slow download speeds. So you tried to connect to a previously saved wireless network using your phone, but instead of connecting, it gives you an “incorrect password” error or simply stays put at “saved”. This could be a conflict of identical SSID of two different networks, which the device is trying to automatically connect to. For instance, Linksys routers are set to the SSID “Linksys” by default, which means that if you have connected to one router under that name before, your phone will automatically connect to another router of that same name. The first solution to this issue is changing your wireless network SSID and set it to something unique. However, if you don’t have access to the router, you can simply tap on the wireless network, select “Forget network” and connect to the network again to make the internet connection work. If you don’t use public hotspots often for security reasons, you’re a smart cookie! However, secure places like restaurants and hotels where you can use their public hotspots, the fact that you’re connected but unable to access the internet may seem baffling. This is so because most public networks need to be logged into using the browser. Once you have connected to a public Wi-Fi hotspot, open the browser and access any URL and you should be redirected to the welcome/login page. If you end up disconnecting from the public wireless network and wish to connect, you will have to perform the entire process once again. If you are able to enjoy a strong Wi-Fi network connection on your desktop and seamless connectivity on your smart TV, but slow speed on your phone, there’s something wrong with your router. This particular Wi-Fi fix could be related to the QoS feature that most modern routers come equipped with, which automatically prioritizes certain devices. The Quality of Service feature of your router might be capping the connection speed on your Android device to conserve more bandwidth for other media streaming devices. You can either choose to add your device to the list of prioritized devices or simply turn off the QoS feature altogether and get rid of bandwidth separation for good. While there are a bunch of Wi-Fi fix for no connectivity or slow speeds, the issue of frequent disconnections goes unresolved in many cases. Once again fingers are going to be pointed at the Wi-Fi router and rightfully so, but there can also be a few miscreants on your Android device that are responsible for the poor wireless connection. As a part of the greater scheme to helping Android devices conserve battery life when not being used, the Doze-Mode comes with a bunch of tweaks. One such tweak involves putting the Wi-Fi connection on “sleep” mode when the phone is not being actively used. Your network connection could also suffer if you have a battery-saving mode enabled on your device. If you ever experience that the messages or notifications aren’t being received right away, you might have to reset the Wi-Fi Sleep policy. Head over to Settings->Wireless & Network and look for the “Advanced” tab. 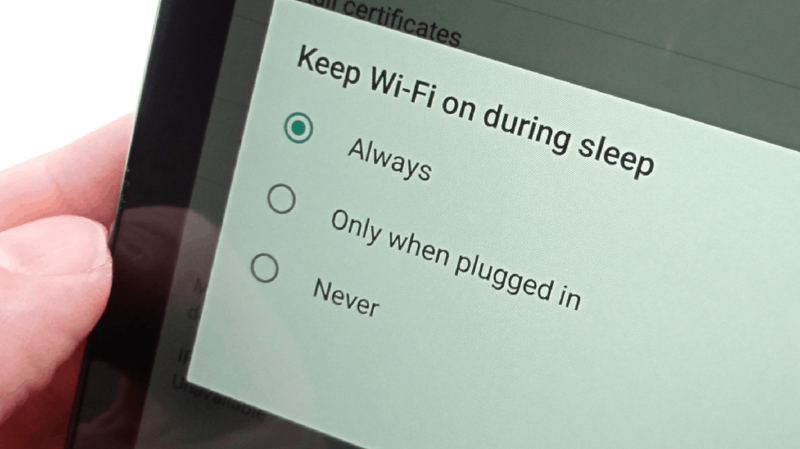 Here you should be able to find the option to “Keep Wi-Fi on During Sleep”, so tap on it and ensure that it is set to “Always”. Even if there’s absolutely nothing wrong with your wireless router or device, certain elements can hinder the performance. For instance, having the date and time of your device and wireless network set different can affect that connection, so make sure you have them set on automatic time zone. 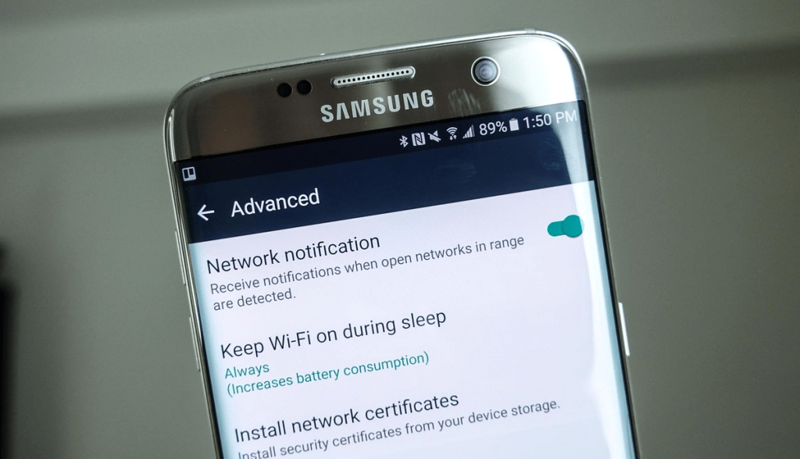 Similar to the power-saving mode, some Android devices come with “Wi-Fi Optimization” feature that reduces the connection quality. If you find this option under the settings menu of the “Wireless & Network” menu, make sure that you have it turned off. The same menu also includes an option that allows the device to “Avoid Poor Connections”. If your wireless network is naturally short-ranged and there’s no way around it, you can disable the above option to ensure that your device maintains a connection even if it isn’t optimal. 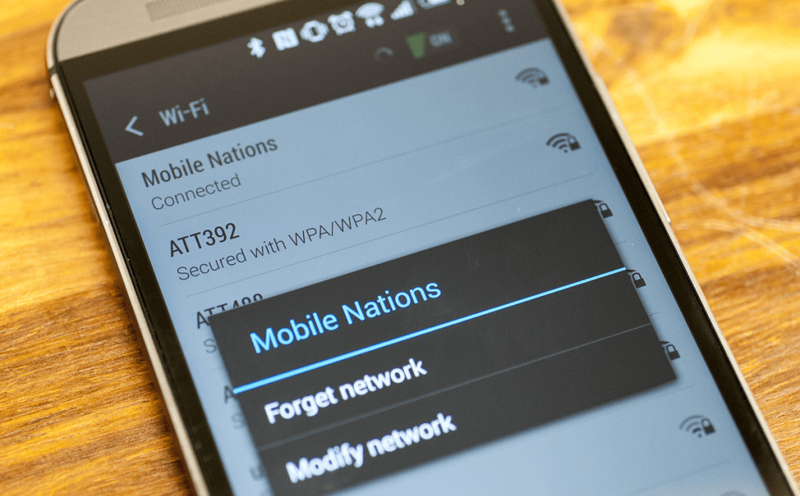 If you have been plagued by the issue of Wi-Fi not connecting on Android, the above guide should definitely help you out. However, if you don’t have the time or knowledge of the technical jargon, Android apps are here for you once again to save the day. Whether you’re facing connection issues, suffering from a slow connection speed or experiencing frequent disconnections, give these apps a try for a quick Wi-Fi fix. 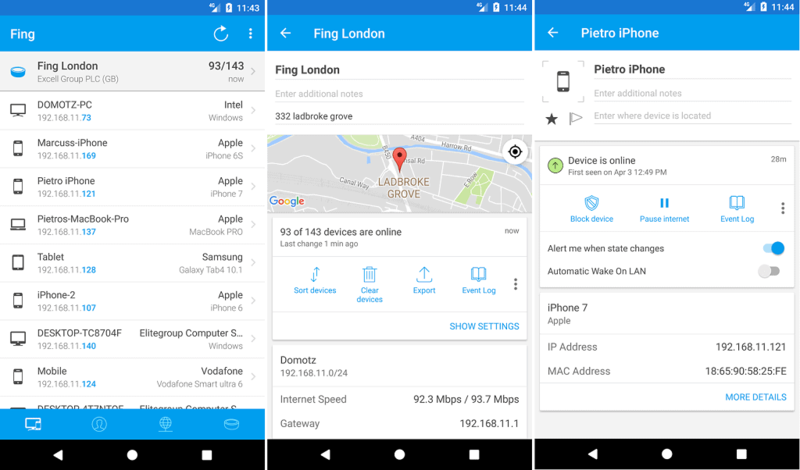 Developed for the community by the Android community members, Wi-Fi Fixer is an open-source app that works as a background service to solve several wireless network issues automatically. While you should know that no Wi-Fi fix app can help solve problems related to the ISP or the wireless router, but Wi-Fi Fixer does perform activities to tune the access point, which inherently minimizes the chances of disconnections. 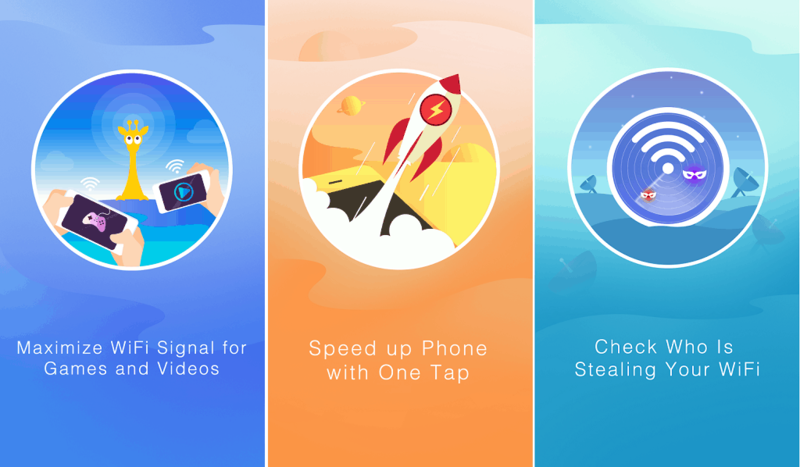 Whether you’re suffering from an unresponsive network connection or the download speeds are simply too low, all these app needs is one tap of a button. Designed to be as simple as possible, 1Tap Wi-Fi Repair Lite essentially resets your device’s Wi-Fi preferences to automatically fix any issues pertaining the network connection. 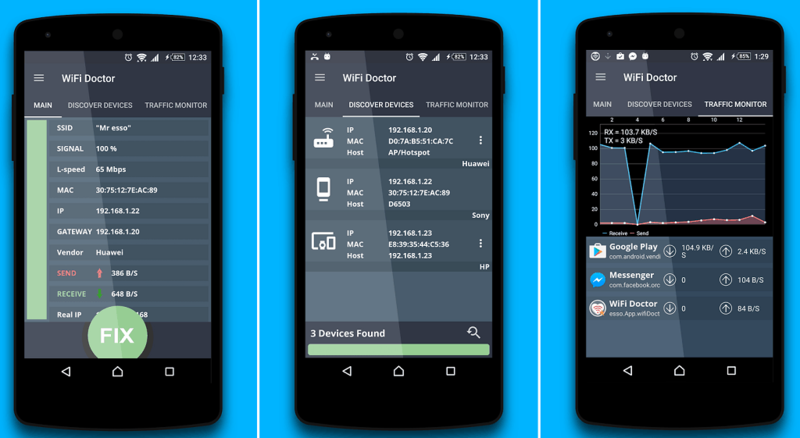 If you are looking for a diagnostic tool that helps you identify the issues with your Wi-Fi connection along with performance reports, Wi-Fi Doctor is the app for you. Packed with features such as network traffic monitor, Wi-Fi optimizer, network scanner, and detailed view of your connection (IP address, DNS, MAC address, device vendor etc. 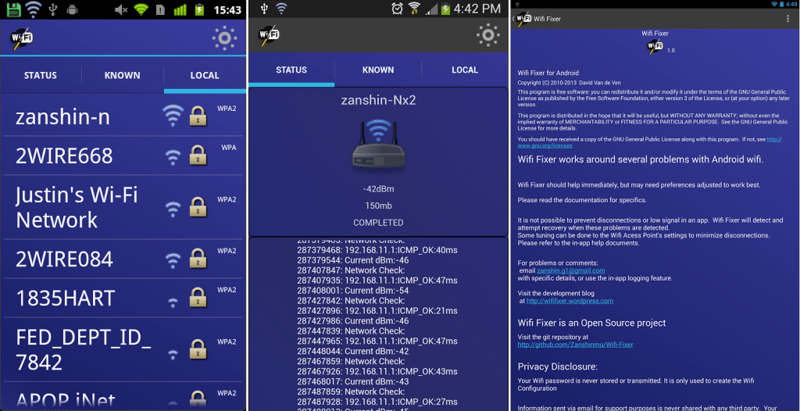 ), this useful Wi-Fi fix app can help you optimize and reduce the chances of network errors. Designed to be an all-in-one solution to all your Wi-Fi woes, Wi-Fi Master is an entire suite of tools compressed into a single app. Equipped with security features with Wi-Fi Security Detection, enhancing the signal strength with Wi-Fi Signal Booster, and built-in features to provide a better online gaming experience and speed test feature included as well, you won’t be needing another Wi-Fi manager app. More suitable for the tech-savvy users who want to take charge of their wireless network, Fing comprises of multiple utilities to streamline your Wi-Fi connection. Starting off with features like Wi-Fi scanner, internet connectivity checker, ISP analyzer, the app also comes with advanced networking tools like DNS lookup, ping tracker, subnet scanner, and a detailed networking monitor that automatically generates reports for you to see. Were you finally able to unleash the power of the internet with this definitive guide on how to fix Wi-Fi problems on Android? DO you have a pro Wi-Fi fix that could help you fellow Android users get connected? Do share your opinion or queries in the comments section below, or go ahead and start a whole new conversation on the Updato Forum right now.